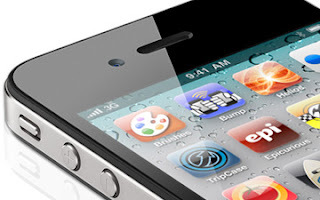 Home iPhone5 News Rumors Rumours Finally – iPhone5 Released in October! Finally – iPhone5 Released in October! iPhone 5 launch date rumors are whirling again as a new report says an AT&T vice president has definite plans to launch the phone in early October. AT&T sources had confirmed that a company vice president had told several employees the device would be out in early October. In addition, the executive told a group of managers to expect things to get busy during the next 35 to 50 days, asking them to prepare their teams consequently.While some sources within Apple suggest the next two months are going to be extremely busy, but can’t be more specific. The device’s release date has been the focus of much anticipation on the web lately, with many more reports fluctuating between September and October as possible time frames for the launch. At the beginning of this month, All Things Digital said the next generation iPhone would come out in October. But just last week, a report from a Japanese website specified the device would be released in September, during a rumored Apple media event. Meanwhile, during his company’s last earnings call, Verizon CEO Lowell McAdam said he expected the phone out in the fall. In the past, newer versions of the iPhone have typically been released during Apple’s summer Worldwide Developers Conference (WWDC). But that didn’t happen this year, following the release of the Verizon iPhone 4 in February.